WHEN: March 1, 2013 at 11:30 a.m. The ceremony is part of celebrations to commemorate the 50th anniversary of Cleopatra, directed by Joseph L. Mankiewicz, and starring Burton and Taylor in their first on-screen feature. The Academy Award-winning film was released by 20th Century Fox in 1963; and will be available on Blu-ray Disc for the first time in 2013 from Twentieth Century Fox Home Entertainment. 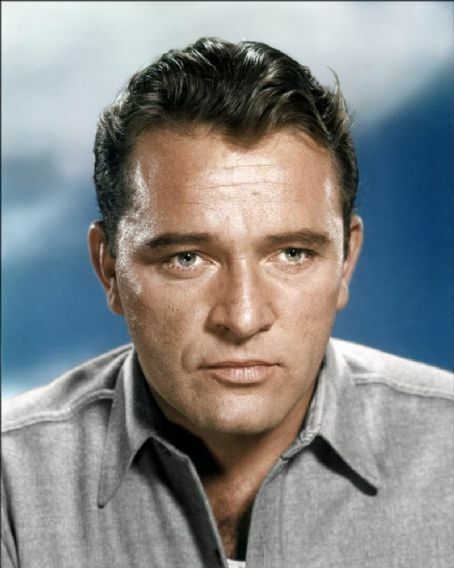 Richard Burton CBE was a Welshman, who was widely accepted as one of the greatest actors of his generation. In 1952, his Hollywood career began after he signed a five-year contract with director/producer Alexander Korda, which earned him £ 100 a week. 20th Century Fox then signed Burton for three films at $50,000 each — the first was My Cousin Rachel, for which he was given the lead role. The film was a critical and commercial success, establishing Burton as a Hollywood leading man, and gaining him an Academy Award nomination and Golden Globe award. During his lifetime, he was nominated seven times for an Oscar, six of which were for Best Actor in a Leading Role (without ever winning); and was also a recipient of BAFTA and Tony Awards for Best Actor. On the set of Cleopatra, Burton and Elizabeth Taylor fell in love. Although they were both married to others at the time, their relationship was endlessly scrutinized and celebrated by the media. The couple married on the March 15, 1964 in Montreal, Canada, and a succession of film roles followed, including The V.I.P.’s (1963), The Sandpiper (1965), Who’s Afraid of Virginia Woolf! (1966), and The Taming of the Shrew (1967). The couple divorced in 1974, but remarried on October 10, 1975. The second union lasted less than a year. His final appearance with his ex-wife was in a stage production of Noel Coward’s Private Lives in 1983. On August 5, 1984, Burton died of a cerebral hemorrhage in Geneva, Switzerland at the age of 58. At his funeral, four days later in Celigny, he was buried with a copy of the Collected Poems of Dylan Thomas. Many would attest to Richard Burton’s generosity, which extended beyond his family, to charities and friends. For example, his early contracts with the BBC, whether television or radio, often contained clauses that waived his fee in favor of a local charity. During his lifetime, Richard Burton contributed to many good causes across the world, ranging from the Playhouse Theatre in Oxford to charitable contributions to the town of Puerto Vallarta, Mexico. In 2011, in the presence of the Burton and Taylor families, and Burton’s daughter, Kate, opened the Richard Burton Theatre at the Royal Welsh College of Music and Drama, in Cardiff, Wales, helping to extend his legacy to a new generation of actors and theatre practitioners. The resident theatre company of young actors was also renamed the Richard Burton Company in his honor. The Walk of Fame is a tribute to all of those who worked diligently to develop the concept, and to maintain this world-class tourist attraction. The Walk of Fame is open to the public. There is no paid admission or assigned seating at star ceremonies. It’s understood that the cost of installing a star on the Walk of Fame upon approval is $30,000, and the sponsor of the nominee accepts the responsibility for arranging for payment to the Hollywood Historic Trust, a 501(c)3 charitable foundation. The funds are used to pay for the creation/installation of the star and ceremony, as well as maintenance of the Walk of Fame. This entry was posted on Friday, February 22nd, 2013 at 2:06 am	and is filed under Blog by Manny Pacheco. You can follow any comments to this post through the RSS 2.0 feed. Responses are currently closed, but you can trackback from your own site.